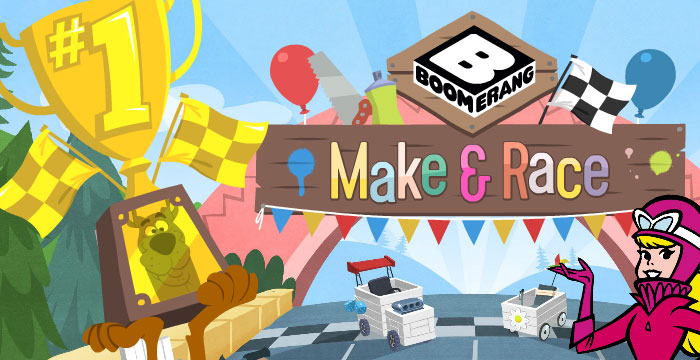 Make and Race is live! Choose your favourite character and build your own, unique car with wheels, spray paint, stickers and fun accessories. Test your driving skills, dodging obstacles, collecting coins and beating other classic cartoon characters to pole position!